Short Business Description: Peyia Village Market. Handcrafted and Foodies Market. In the Square on the 4th Sunday of every month, from 9am – 2pm. 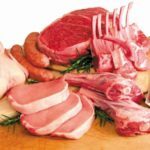 Short Business Description: We specialise in supplying a range of quality, imported British foods including freshly sliced cold meats, gala pie, scotch eggs, cheeses, clotted cream, sausages, bacon, smoked haddock and much more.